You can expect many things from Mr Perfectionist Aamir Khan, when it comes to acting and spicy responses. In the recent Koffee With Karan Season 6, his responses made everyone laugh. Talking to media on release of his movie Thugs of Hindostan, the actor interacted with a group of journalists and shared some interesting anecdotes about his co-star Amitabh Bachchan. He said that he had laughed at Bachchan’s picture years ago as a kid. Aamir has not kept it a secret from Big B, The actor shared it with him as well. 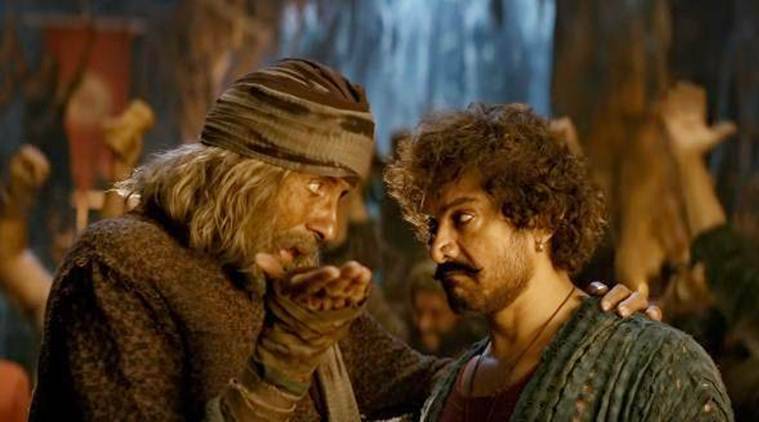 Talking about working with Big B, Aamir Khan said that it was really amazing. He said that they had planned on working together twice before but it didn’t work out. Aamir was very excited and nervous about working with him. Aamir never leaves an opportunity to share the funny memories and make sure that it gets out and at the right time. Fan Asked Alia Bhatt If She Will Give Up Acting After Marriage. Her Answer Is Truly Praiseworthy! 8 Most Absurd Bollywood Rumours That Will Leave You Totally Amused!